We are a successful foreign-run private English Language School based in Ratchaburi, Thailand. We offer a competitive salary, superb working conditions in a well-organized working environment, opportunity for career advancement & fully planned course content packed with exciting activities! The Company: Power English School is a professionally-run (Canadian & Irish), modern English Language Academy. •	Our managers understand the wants and needs of both teachers and students. •	We believe that English learning should be engaging, active, immersive and enjoyable. •	Working with us, you will enjoy a satisfying career in an environment that greatly surpasses most other schools in Thailand. The Position: We’re looking for enthusiastic teachers to deliver our highly effective course content to our enthusiastic students. The pay range we’re offering is 40,000 to 42,000 THB/month based on experience and qualifications. •	& accident & health insurance. We also provide opportunity for ongoing professional development with advancement to management positions for the right people. •	Professional delivery of our highly effective course content. 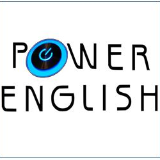 Power English is based in Amphur Muang, Ratchaburi, Thailand. This is a great place to live because within an hour and a half, you can easily travel to the beach towns of Cha-Am and Hua Hin, the floating markets of Damneon Saduak and Ampawa, the scenic mountains, waterfalls and hot springs of Suan Peung, or the excitement of Bangkok. Ratchaburi itself offers a great quality of life as it balances the relaxed life of the countryside with amenities of modern living at very affordable prices!